Tá ár gCúrsa Iarchéime Ard Dioplóma, atá aitheanta agus molta go forleathan, creidiúnaithe ag Institiúd Theicneolaíochta Phort Láirge agus tugann Údarás na Gaeltachta tacaíocht chomh maith. Tuigtear go forleathan gur é an cúrsa inár rannóg is mó a dhíríonn ar thionscal na teilifíse. Creidimid go láidir go bhfuil cúrsaí tríú leibhéil dlúthbhainteach, fuinniúil agus go réitíonn siad micléinn don tionscol. Chomh maith leis sin, eagraímid cúrsaí traenála sna meáin do mhuintir gnó ná iad sin a bhíonn os comhair an phobail, ar mhaith leo a gcuid scileanna ceamara agus agallaimh a fheabhsú, chun tairbhe iomlán a bhaint as aon teacht i láthair poiblí. Mar sin, más os comhair ná taobh thiar den gceamara atá beartaithe agat, táimid anseo chun cuidiú leat agus na scileanna riachtanacha sin a mhúineadh duit. Our highly-acclaimed post-graduate Higher Diploma in Television Production is accredited by Waterford Institute of Technology and backed by Údarás na Gaeltachta. It is widely regarded as the most industry-focused course in our sector. Our core belief is that third level courses are relevant, dynamic and genuinely prepare students for industry. We also run a slate of media training courses for people in business or in the public eye that want to hone their on camera and interview skills and make sure they get the most out of any public appearance. So whether you plan to be in front or behind the camera we are here to help you and equip you with the skills you need. Rithfidh an cúrsa seo ó Mheán Fómhair 2019 go dtí Bealtaine 2020. Is cúrsa Leibhéal 8 é seo i bpáirtnéireacht le hInstitiúid Teicneolaíochta Phort Láirge le maoiniú ó Údarás na Gaeltachta. Aithnítear an cúrsa seo mar an ceann is mó cáil san earnáil i bhfianaise é a bheith lonnaithe i gcomhalcht léirithe teilifíse. Creidimid go láidir gur cheart go mbeadh cúrsaí tríú leibhéal fuinniúil, spreagúil agus in oiriúint don dtionscal. This course runs from September 2019 to May 2020. It is a Level 8 course run in partnership with Waterford Institute of Technology and funded by Údarás na Gaeltachta. The course is widely acclaimed, being the most industry-focussed of its kind. Our core belief is that third level courses should be relevant, dynamic and genuinely prepare students for the industry. More Information on the Waterford Institute of Technology Website. Lecturers on the Higher Diploma are from WIT and industry professionals with extensive broadcasting credits as directors, producers, editors and writers with RTÉ, TG4 and BBC. For over twenty years Nemeton TV has been producing hundreds of hours of compelling programming for RTÉ, TG4 and BBC. Highlights include IFTA nominated ‘Laochra Gael’ ‘Nicolas’, ‘The Brothers’, ‘Stair an GAA’ and ‘Bóthar Iarainn’ as well as ‘GAA Beo’ and ‘Rugbaí Beo’. The company’s strong emphasis on training means that they are also committed to nurturing new and emerging talent. 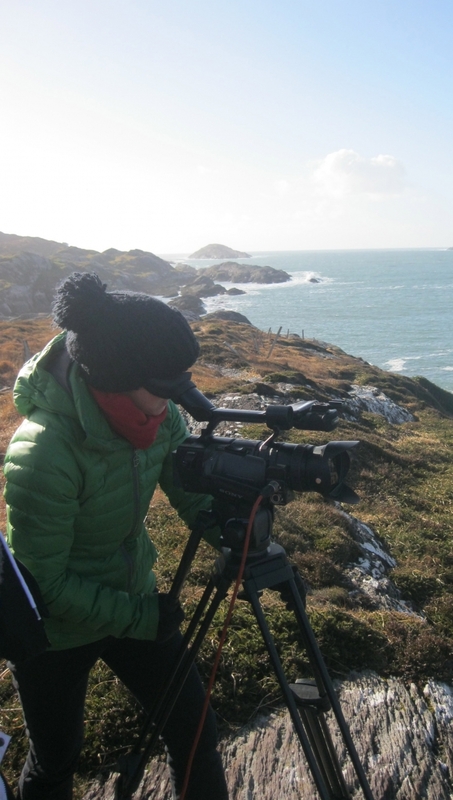 Since 2006 Nemeton, Udarás na Gaeltachta and Waterford Institute of Technology have successfully prepared new media talent on their Higher Diploma in Television Production. Graduates from the course have found employment in RTE, TG4 documentary directing, Film, Digital Marketing and PR. One graduate TV Director says; “The Ard Dioplóma provided me with a fantastic practical introduction into the real world of TV, as it was run at Nemeton TV itself - a working production company. The Ard Dioplóma was the beginning of a new and successful career in TV”. Applications for next year’s course are open with places limited to 14 for 2019. To apply or for further information see www.wit.ie or email traenail@nemeton.ie. Applicants should have a NQAI Level 7 or higher. Applicants should be able to understand and speak Irish. Fees are subsidised by Údarás na Gaeltachta. Applicants without the above minimum requirements but with relevant industrial experience and language competency will be considered on a case-by-case basis.